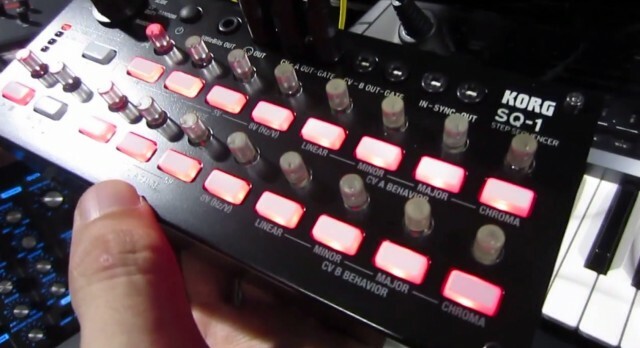 Australia’s Turra Music have leaked a new analog Korg synth product. But it’s the product that goes with it that has us excited. Following up on the MS-20 kit – the build-it-yourself limited-run full-sized MS-20 remake Korg did – the company now has a module. That’s brilliant: the full-sized MS-20 sounds amazing (with both MS-20 filter models) and feels and looks beautifully authentic, but it isn’t the easiest thing to tote. But packed in the kit is a new SQ-1 Step Sequencer. That’s pre-assembled, which makes me think we’ll see this as a separate product. This is obviously a no-brainer for existing MS-20 owners, and the sync outputs could also work with stuff like the volca series. Welcome back to analog folks. Also interesting: it appears there’s a connection for littleBits gear – presumably simply providing the correct analog output for that hardware. It appears there’s no MIDI on the step sequencer; having both would be nice. CDM will attempt to get more details from Korg. In the meantime, check the video. The MS-20M Kit lets you create a real, full-sized MS-20M monophonic synthesizer module. Desktop module version of Korg’s MS-20 Mini, but this time in build it yourself kit form and with a few new bells and whistles including the new SQ-1 Step Sequencer (included pre-assembled in box).